Obama Still Spending Stimulus Money! Remember when President Barack Obama acknowledged that the shovel-ready jobs created by the stimulus weren’t so shovel-ready? Well, it turns out, it’s even worse than that. Five years after passing the bill, Obama’s still handing out shovels. In today’s edition of his newsletter, Morning Jolt, National Review’s Jim Geraghty reveals that the Obama administration is CONTINUES TO PARCEL OUT STIMULUS MONEY. Lots of it. A search of the Recovery Act opportunities list shows 1526 projects in the queue, with one or two being added every day. Well, every business day. This is government we’re talking about. 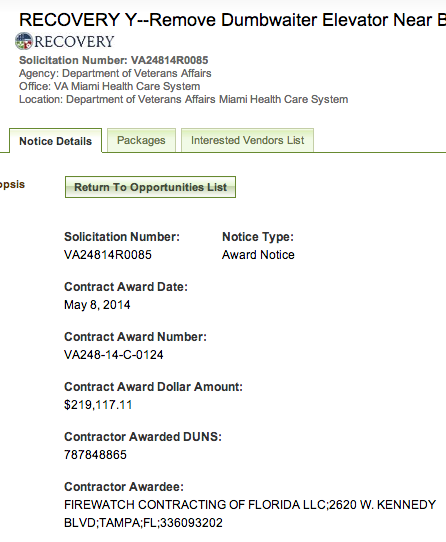 Here’s a look at the most recent award, a $219,000 contract to remove a dumbwaiter at a Department of Veterans’ Affairs facility in Miami. You knew it, didn’t you? You knew this wasn’t about stimulating the economy. BECAUSE THE ECONOMY DIDN’T GET STIMULATED. Gosh. All those Summers of Recovery that led to nothing but chilly autumns of disappointment and despair. The stimulus act was really just good, old fashioned, debt-financed government spending. By a good, old fashioned liberal who has used the country as a giant Mastercard for his leftist social programming schemes. Prime the pump. Even after the well has run dry. That’s the domestic Obama Doctrine. 21 Responses to Obama Still Spending Stimulus Money! You have confirmed what my husband and I have suspected is going on in our area. Small businesses pop up (hair salons, tattoo parlors, mom and pop food places) and then shortly thereafter they go belly-up, and we presume the “owners” then go on unemployment. Khrushchev declared: “We must take a shovel and dig a deep grave, and bury colonialism as deep as we can”. In related news, FED Chair Janet Yellen says she is going to keep on PUMPING! This, after tapering and blurting out a few weeks ago that interest rates would likely rise in about six months! The stock mkt dropped 200 pts after her remark about int. rates, but quickly recovered. Obama must have taken poor Janet to the woodshed. I pity whoever wins the next election, DEM or Repub. It’s not going to be just a ‘hard landing’, it’s going to be a nosedive. Obama has had a free ride for 6 years, and will continue to have one until he boards AF1 for his last ride on Jan. 21, 2016. We are all going to pay the price! She also said she wasn’t sure what kind of economic system we had. And of course she is going to continue to pump. Welcome to the Obama Political Hack Club Janet. And this will not bode well for her. Although she is undeniably qualified, she is not a quick on feet public speaker. She has no feel for spin. Nice reputation you had there Janet. Wanna bet she never holds another impromptu presser? I watched it live, and when the reporter asked her about int. rates, she really tried to give an honest appraisal of the situation. She was a breath of fresh air. Obviously, she is not a ‘born liar’. She sold her soul – too bad. Soul selling — big business among the Grifter Gang. There is no amount of spending other people’s money that will ever satisfy Barack Obama or take away his disasterous legacy. So when he said he wanted to fundamentally change America did he mean by bankruptcy? $200+K? That’s like the funds found under the couch cushion for our government, and too small an amount to be a rounding error relative to our federal budget. What is alarming, or of concern, is the why now. Why remove this feature from a VA building; is there a danger to the workers if it’s not removed or a pressing need to spend money to justify a budgeted expense? If the VA was a for-profit organiztion, this dumb-waiter would have it’s openings covered by the maintenance staff, or more than likely just be ignored as a relic of a past need. And therein lies the outrage of the taxpayers; our betters spend money for the sake of having the need to have more of it in the next budget. 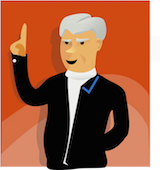 They outsource silly projects, pass out bonuses for doing one’s job, and just buy outrageous or unncecessary doodads or geegaws. . When MrObama was passing out millions and more millions to private business concerns in the hope of making advances in alternate energy sources, it was almost a legitimate expense. Even though most of this money was wasted or used to enhance the owner’s purse, it did seem to be a legitimate was to invest in something worthwhile. The other millions of the stimulus went to union based employees to keep them on the job, almost a legitimate expense if we consider teachers, first responders, and government employees to be vital to our lives. The small-potato spending by every agency, every day is what drives the tax-payer crazy; a couple $100K for a meeting in a posh resort, unlimited credit card purchases, and even the funds sent to colleges or commercial labs to find out why toddlers fall off of bicycles are just money wasters. Coming out of the private sector, my first government contract. Doing what I know how to do, come in on time and under budget. I was schooled by my handler. Spend it. Spend it all. This money has already been wrested from Congress’s grip, so of course they will spend it! One for The Big Book of Duh. And we’re supposed to trust the government more. The only thing these two,Obo and his leeching wife know how to do is spend our money. We need to pass a law limiting the amount of money the President and Vice President, their wives and families have to spend on vacations and parties at the White House etc. It won’t help us with this crowd, but we will have some control in the future. I like to think of the ‘Obama Famiy spend-a-thon as a black swan event (no pun intended). Then again, I do agree with you on future legislation to prevent such a blatant mis-appropriation of taxpayer funds to support a hedonistic lifestyle of the rich and famous from ever happening again. 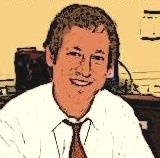 If you want to read about more about these non-sense spending projects Google Senator Colburn’s Waste Book 2013. The shame of it all is Congress knows about them and does nothing. Charlie Wilson and his CIA friend financed the first Afghan war by finding “orphan” funds. These are funds approved but not yet spent. That much money to remove a dumb waiter? Couldn’t they cash out the poor bloke for less than that? Or better, find him a job he could do? Maybe a speechwriter for Obama? Marcu. Please tell me this is a tongue in cheek comment. Are you being outrageous and really know what a dumbwaiter is?